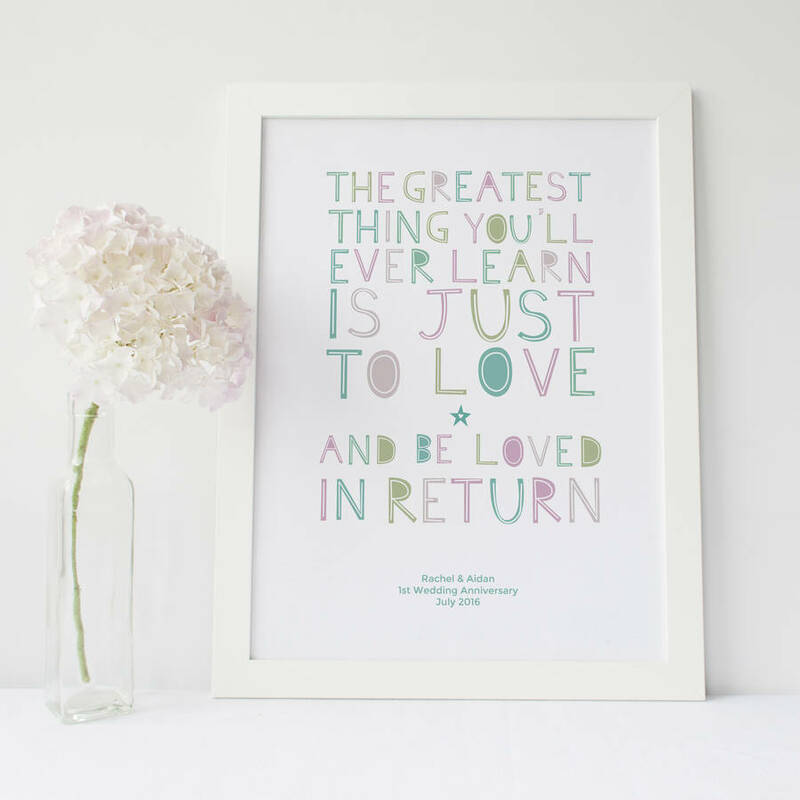 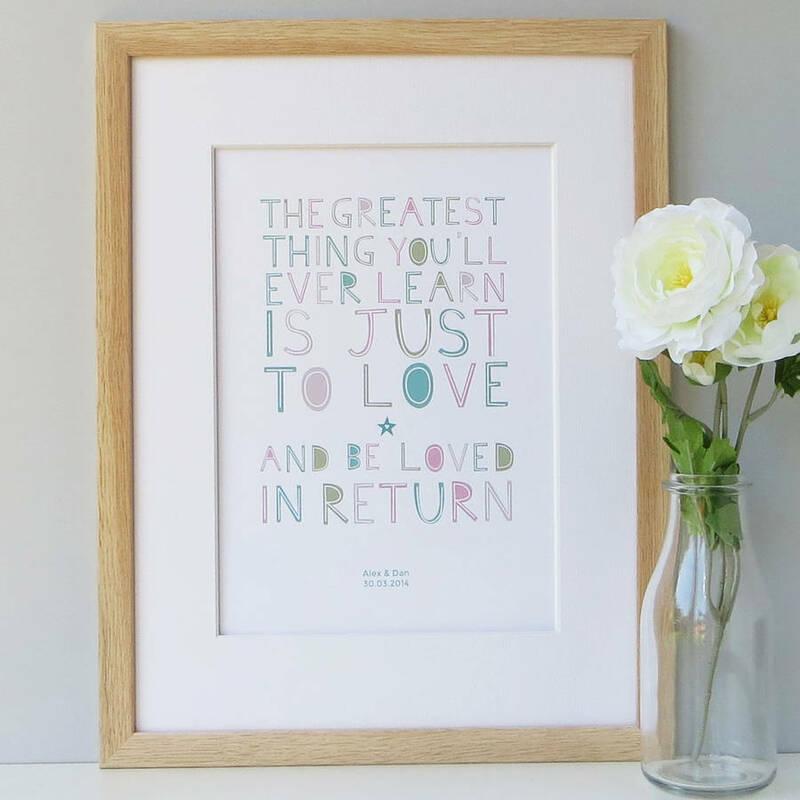 This personalised romantic love print with a beautiful quote makes a thoughtful gift for an anniversary, valentines day, engagement, wedding or civil partnership. 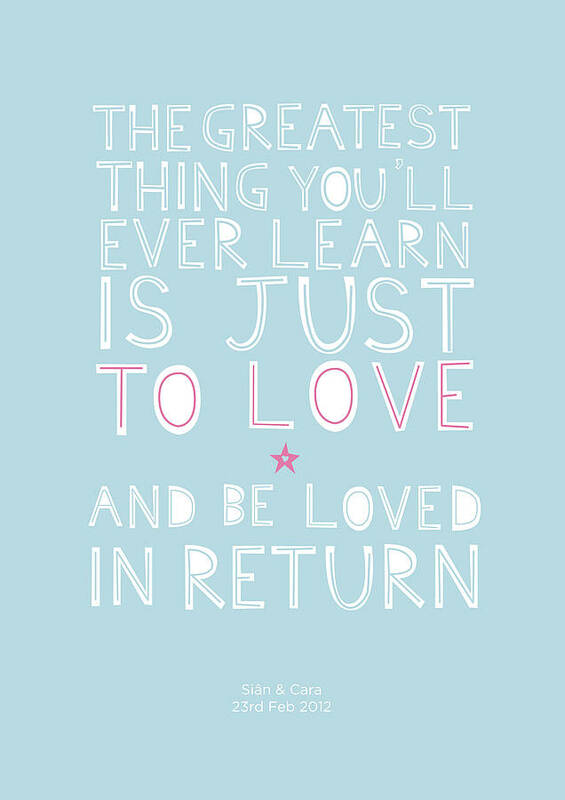 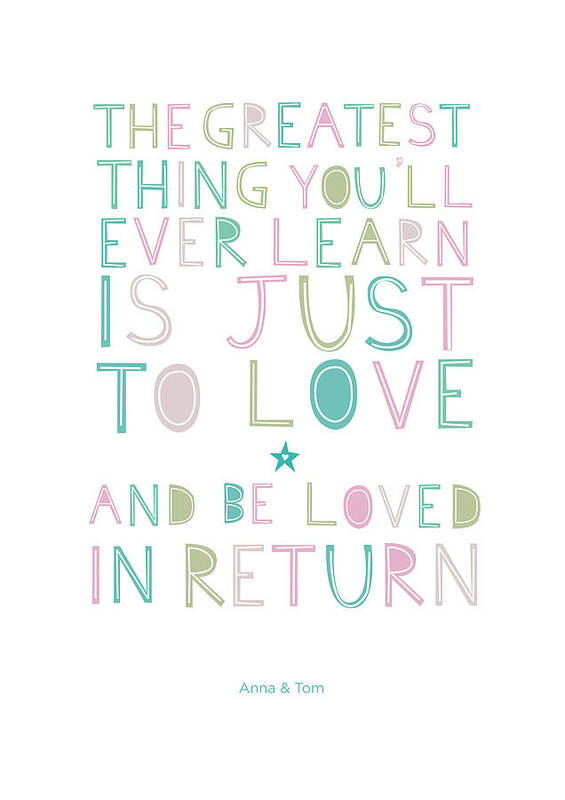 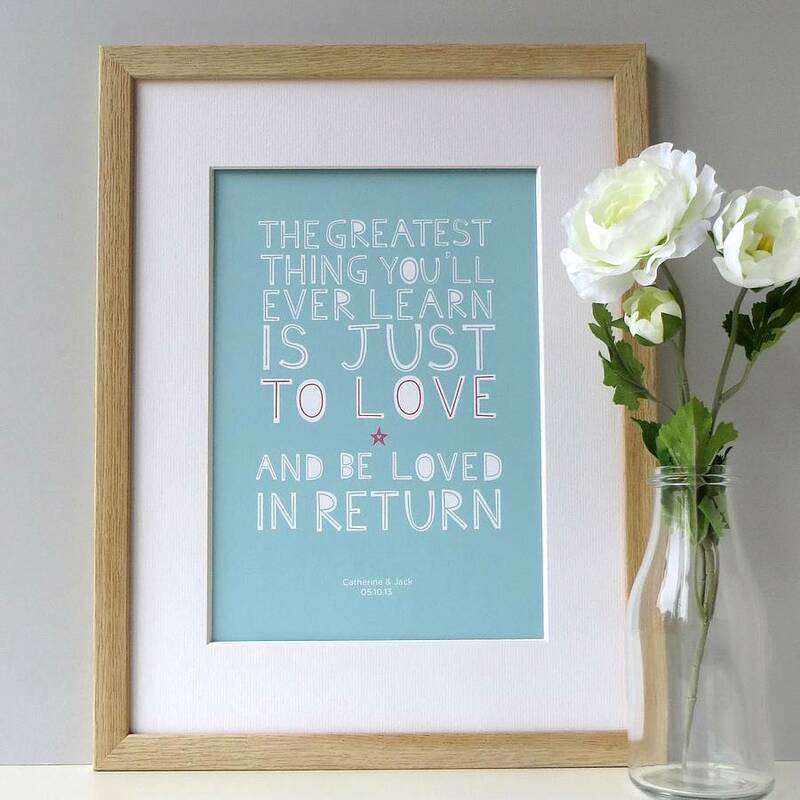 This beautiful print's meaningful message, "The greatest thing you'll ever learn is just to love and be loved in return", is originally from the 1947 song 'Nature Boy' by Nat King Cole. 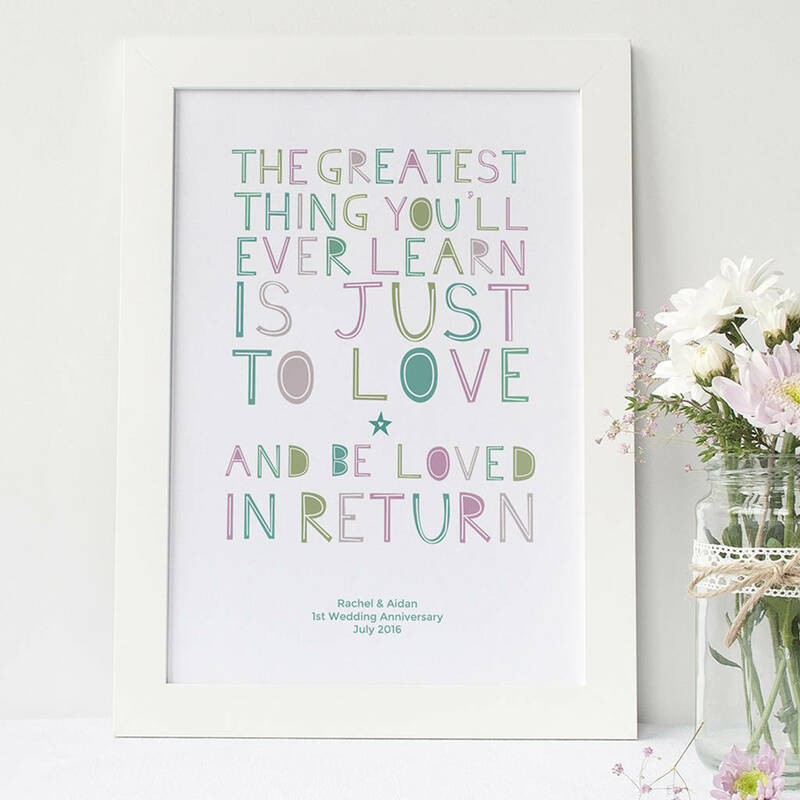 As well as a romantic gesture for the special person in your life, this personalised art print will also make a unique present for newlyweds, or for a civil partnership. 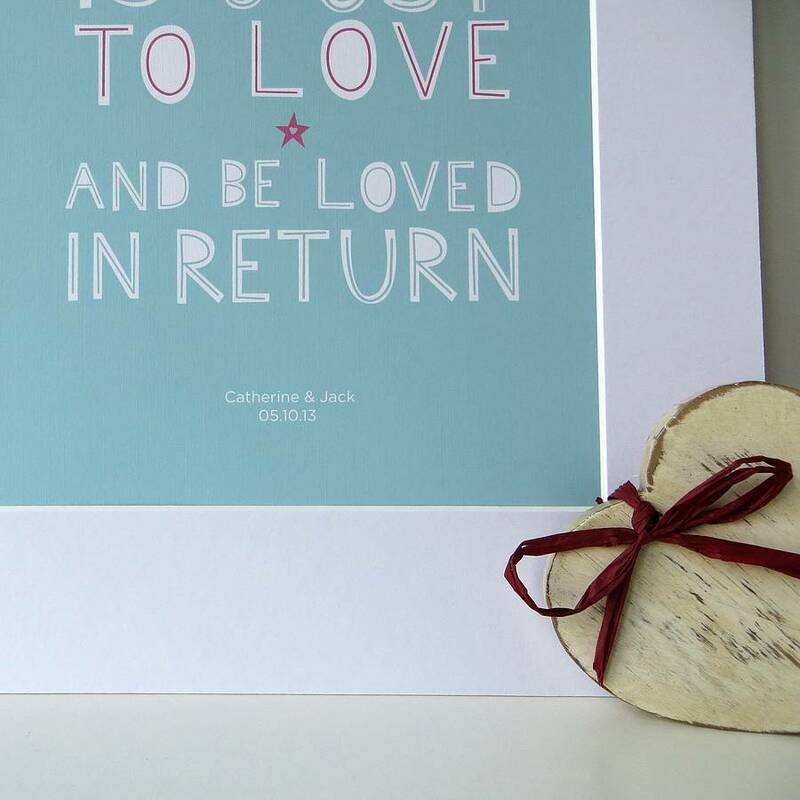 The print be personalised to your requirements for no extra charge. 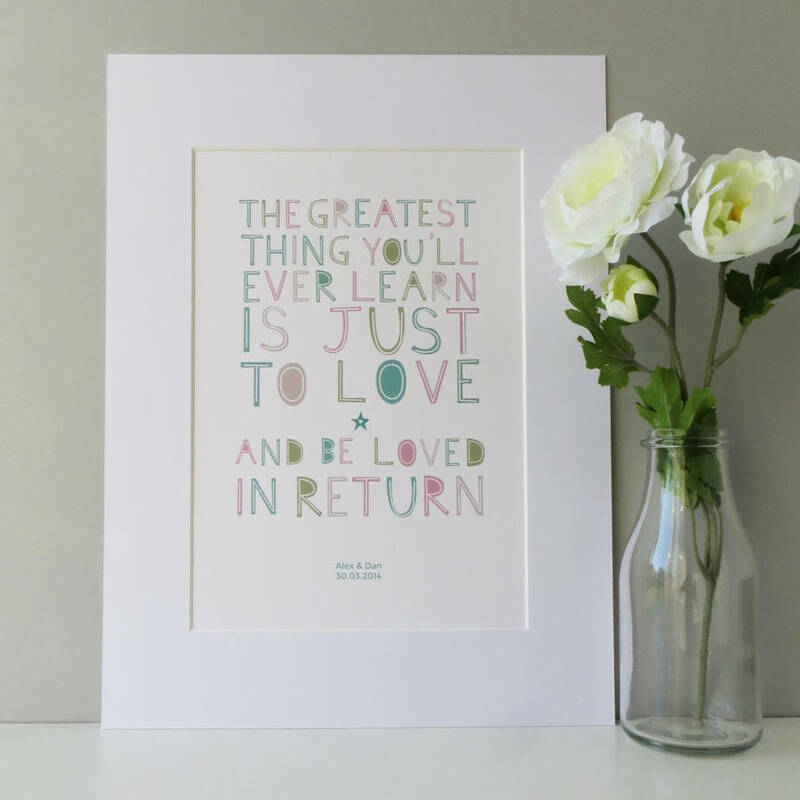 Names can be included on the bottom of the print, and a special date can also be added, for example 'Lauren & Joe', '14 October 2012'. 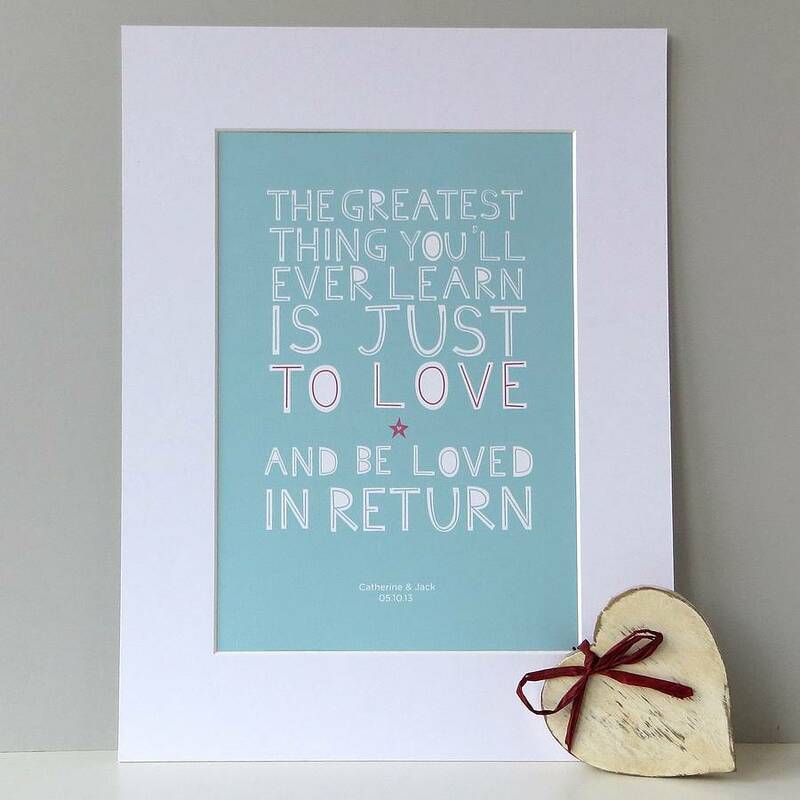 The print comes in two colour variations: a dusky blue background with white lettering and pink accents, or a white background with coloured lettering. 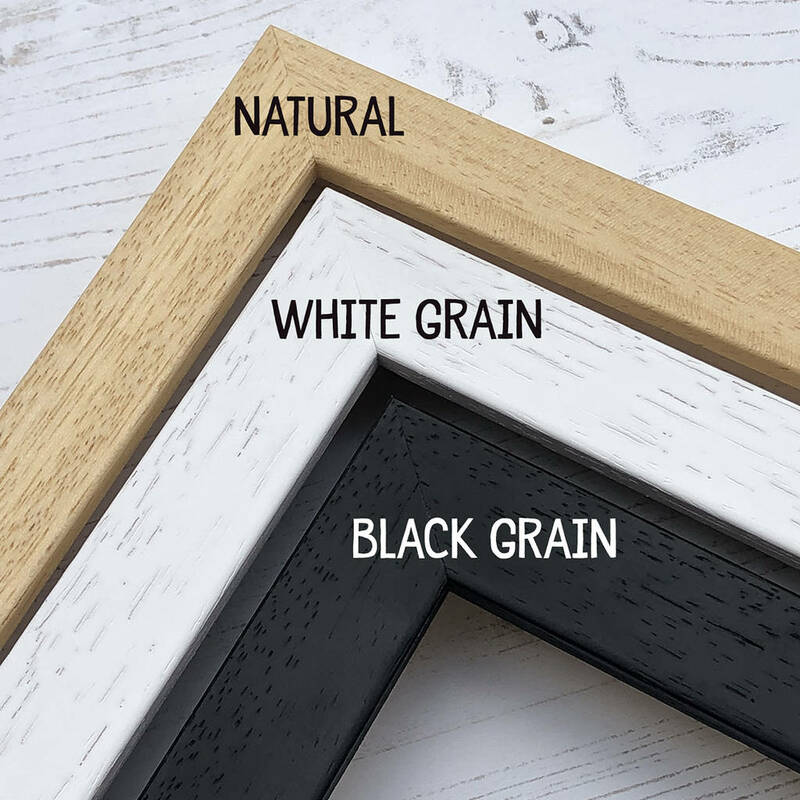 See the product photographs for an example.